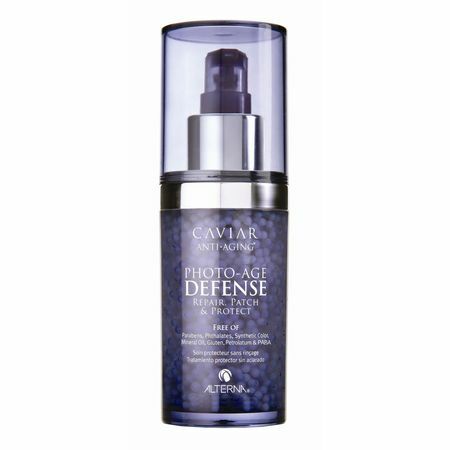 Caviar Anti-Aging Photo Defense CAVIAR Photo-Age Defense is an anti-ageing shield that fills in gaps and tears in every strand of hair, repairing damage and completely resurfacing the cuticle to create smooth lustrous hair. The leave-in treatment contains a mega dose of resurfacing ingredients, which attack ageing at the microscopic level via the formulas unique bead delivery system. Hair is left smooth, shiny, protected and youthfully restored. Directions for use; Apply to towel dried hair prior to using other styling products.